While anybody can start a clothing line, not everyone can build a profitable fashion business. It takes entrepreneurial spirit to have consistent revenue and profit. How can someone create a successful clothing line? Fashion entrepreneurs need to work hard, understand market trends, and be flexible. Sales data and customer feedback will help you determine price, design, distribution, and everything else you need to be successful. 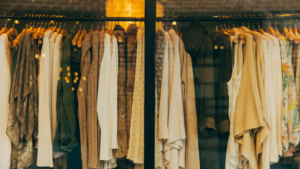 Before going through each step of creating a successful clothing line, it’s important to adopt a sales mindset. One of the biggest mistakes that new fashion business owners make is to get stuck on the idea of creating and protecting their brand. Instead, they should be focused on creating a profitable business. While having a flawless social media presence is important, for example, it is more important to concentrate on the bottom line. I’m here to show you how! My name is Mary Vallarta and I’m behind FAB Counsel, a consultancy with the sole purpose of empowering entrepreneurs to build successful fashion companies. I have almost a decade of retail experience after buying for Macy’s, BCBG, Metropark, and Bebe. Wanting more creative freedom, I co-founded FAB Counsel with my business partner to help independent designers take their concept to market. My partner, too, has extensive experience under his sleeve, having owned and run a menswear boutique and managed contemporary brands. Starting with just $150, we turned FAB Counsel into a 6-figure business. I am not sharing this with you to brag, but to make it clear that what you are reading comes from professionals with experience in the field. Our experience is a mix of corporate professionalism and small business industriousness. In this guide, you will get the benefit of both large and small business wisdom. So, let’s get to those steps: here’s how to start a clothing line that sells! Research and data are essential to starting a new business. Research can help show trends in the market that business owners should be listening too. 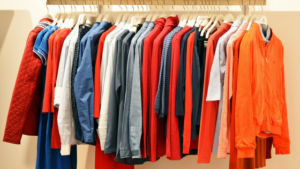 Many new businesses have no data on whether or not their fashion merchandise will sell. The best way to minimize risk is to test the market and understand your consumers. Here’s how to do that. Ask yourself if your product line fills a void in the market. Does the market need another shoe or jewelry brand? The answer would be NO. However, the market may have space for an affordable line of sustainably-made casual basics for petite women. By examining the market and getting granular, we have an opportunity to identify both a need and a target market. Once you have narrowed down the market, you can begin to understand your target customer. Knowing your target customer will help you determine design, price, marketing strategy, and distribution. In the example above, we saw that petite women who care about sustainably-sourced material would be our customer. Now that we have our customer segment, we need to understand their demographic. What is her age, income level, profession, and likely geographic location? The answers to these questions will already start filling the gaps in your marketing strategy. The Internet is the most popular method that many startup fashion brands use to reach their customers – and for good method. It is more convenient and inexpensive to market directly to your shoppers than to find intermediate buyers without a track record of sales. Whatever method you use, remember to pick a plan that will be the easiest for your customers to find you while fitting your budget. Start small with a starter collection. An extensive collection will be a challenge when it comes to managing inventory and marketing styles, especially when you do not have any hard data on what will sell. Make your starter collection streamlined and cost-effective. It is better to have five amazing pieces rather than 25 that are so-so. Then, when it comes down to ordering units per style, order the minimum, so you do not get stuck with extra inventory. Being sold out is a better problem than surplus stock. Plus, once you see which styles will sell, you can order more and start to get a handle on movement. Marketing is key to getting the word out about your fashion line to your target customers. Without any promotion, how will consumers know you exist? Knowing and understanding your target customer will help you to identify which promotional channels to use. Even better, get potential customers involved in the development of your line and ask them about their shopping habits along the way. The mantra in entrepreneurship is, “If you are not embarrassed by the first version of your product, you’ve launched too late.” While this is less applicable to fashion lines than software, there’s a valuable lesson there for fashion entrepreneurs as well. Do not let perfectionism get in the way of putting your merchandise in front of potential customers. Whether it is hitting ‘publish’ on your website, setting up shop at a farmer’s market, or launching Instagram ads, taking the jump is the first step towards understanding your market and improving your sales numbers. Now it is time to look at the data and understand who bought how much of which styles. Most likely, you will be surprised by who bought what and have your assumptions challenged. Take Timberland. They thought their target market was blue-collared men who worked labor-intensive jobs in construction and home improvement. It turned out it was the hip-hop community that embraced them. While it is important to outline a target market, it is also equally important to go with the flow when you find out you were off. Analyze the data, listen to the market, and be flexible. Combine your sales data with customer feedback to make improvements to your line and move the company forward. If one product is not selling, change or remove it. If another is going gangbusters, order more units and make additional styles. Analyzing and understanding data will be crucial to continued revenue and growth. After running tests and seeing the data, you need to ask yourself if your company has a place in the market. Is your business still not selling even though you have listened to the market and made changes, whether it was to your merchandise, marketing, distribution, or operations? If so, it may be either that there isn’t demand for your product in the market or that it is not differentiated enough from the competition. If on the other hand, you see growth and profit, then you just might have a concept with wings! Now that you have decided that your concept works, your new focus is to make sure that it grows! Growth can mean many different things: investing in branding and marketing, hiring employees, or diversifying your product line, or all of the above. Whatever you decide, identify quarterly goals and focus on incremental growth. Always concentrate on the bottom line and make sure your growth decisions make sense for you and your budget. After reading these steps on how to start a clothing line that sells, you have a better understanding of why starting small is more beneficial than starting big. Small tests give you the flexibility to stay nimble and reduce risk when market forces push you in new directions. Now, you may be thinking, ‘What do I do now?’ Now is the time to take action and use this information to start your fashion empire.